DOWNBEAT giving it a rare 4.5 stars review. 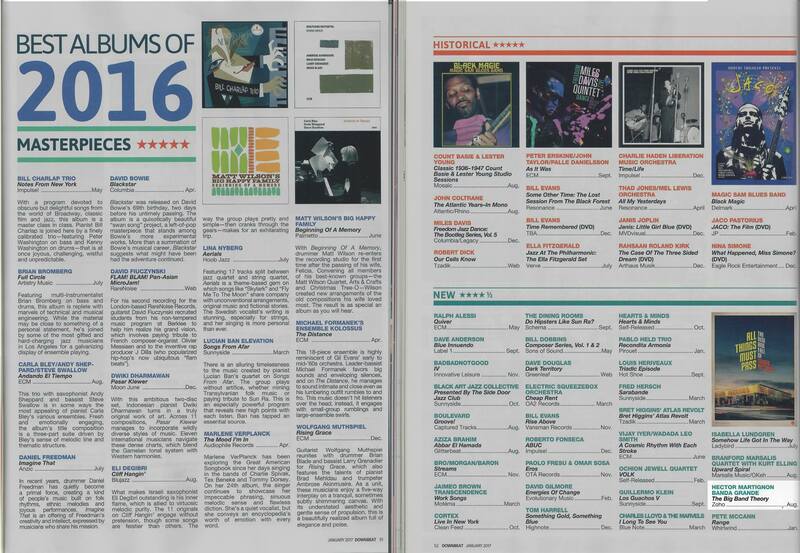 in its September issue and listing it among the year 2016 BEST ALBUMS . JAZZIZ also published a great review by Mark Holston in its Fall 2016 issue.